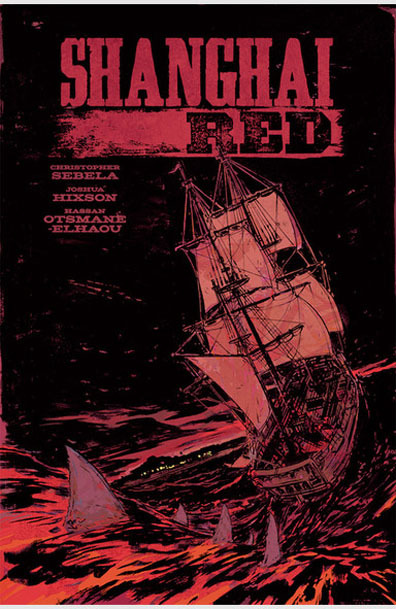 Shanghai Red, written by Christopher Sebela, with art by Hassan Otsmane-Elhaou and Joshua Hixson, is a bloody revenge story set in 19th century Portland. Red, the main character, has been shanghaied—kidnapped and forced to work on a ship for her freedom—and she's out to ruin those responsible. You probably know what's going to happen just on the basis of the plot overview, but part of the fun of these types of stories is finding out just how the protagonist gets from A to Z. Unfortunately, Shanghai feels a little half-baked. The characters aren't given much time to develop, so the impact of the deaths and near-misses never feels as heavy as it should. There's also a potentially very interesting subplot about Red's gender identity, but it similarly feels unsatisfying.